It's fair to say that everyone wants something whether that something be physical, emotional, mental, or spiritual. But do we all want the same thing? Not at all; some may want only enough to get by on while others may “want it all.” A happy medium rests somewhere in between these two extremes. This happy medium can be termed abundance. The fact is that you can decide exactly what abundance means to you and go on to develop an abundant state of mind, a wealthy mind set. It's also true that in our society many people just want to have more money even if some would not know what to really do with it if they had more (think of the many stories of lottery winners who have gone on to lose it all in quite a short period of time). It is far more important to decide what you will do to get it. Not much comes to you with little or no effort. You do need to do the work in order to achieve the goal. However, many people are blocked or unaware of how to get started on this path to abundance. 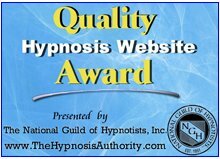 The powerful hypnosis free self hypnosis recording available here is an excellent way to have you start the necessary work. Use your recording daily and then go out and do something about it! Abundance, prosperity, all begins in your mind and here you are presented with an opportunity to use your subconscious or inner mind creatively to produce that abundance, that prosperity. Are you ready for it? Some people may say that "My financial situation is so bad that it would take a miracle to solve it." Yet you are entitled to miracles. We have known for a long time now that positive programming of your mind is the way to make it happen. Make it happen, experience hypnosis now with my free self hypnosis mp3 session now. Don't waste another day of your life; get started now because you are worth it! If you would like to learn more about making an appointment with me in my Montreal Queen Elizabeth Health Complex office to work on any of these issues then click here.